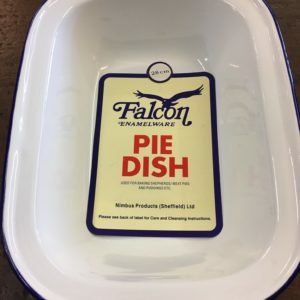 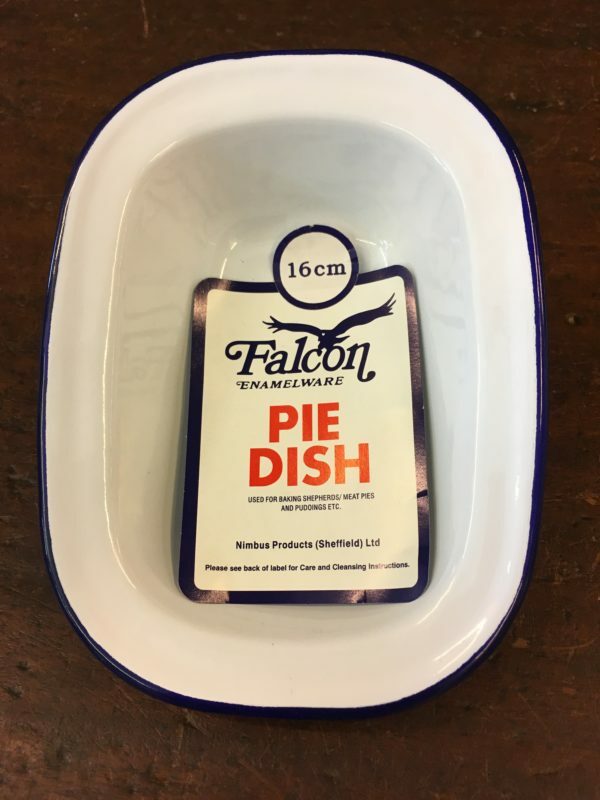 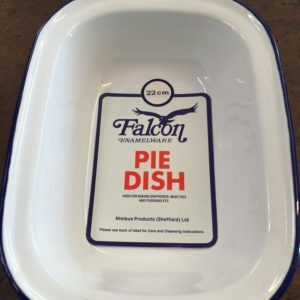 This is the smallest in our rectangular pie dishes range at 16cm. 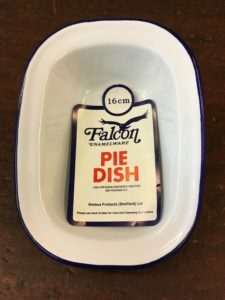 It would still be great for a small pie, storing left overs or using in a picnic. 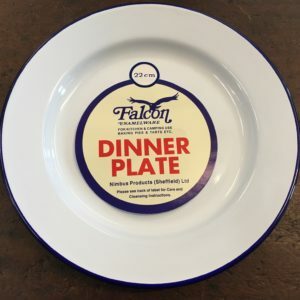 It has the traditional white with blue trim design. 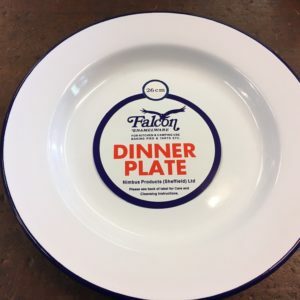 This item costs £3.75 in store.